The first U.S.-market production electric car to wear a three-pointed star is on its way to showrooms. 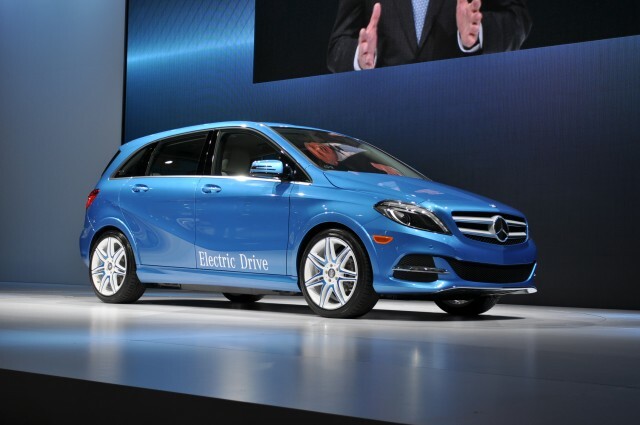 The 2014 Mercedes-Benz B-Class Electric Drive has entered production at the Mercedes assembly plant in Rastatt, Germany, according to Autocar. Based on the B-Class hatchback sold in Europe, the Electric Drive is expected to go on sale in the U.S. this summer. The B-Class Electric Drive uses a Tesla Motors-developed powertrain consisting of a 100-kilowatt (134-horsepower) electric motor and a lithium-ion battery pack. When it unveiled the car at the 2013 New York Auto Show, Mercedes said its torque--228 pound-feet total--corresponds to that of a 3.0-liter gasoline engine. 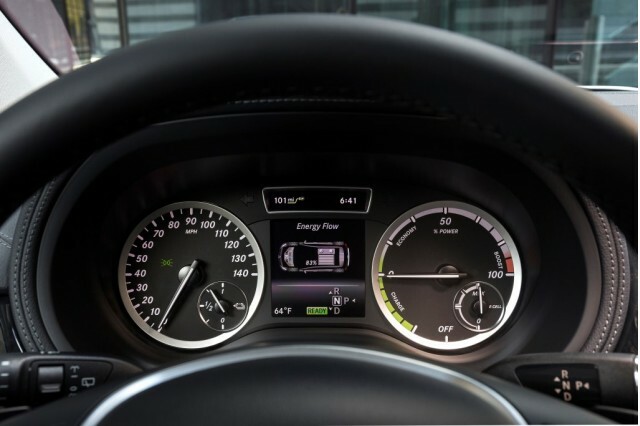 Specific performance figures have not been released, but Mercedes previously claimed a 0-to-60-mph time of "considerably less than 10 seconds," and a top speed limited to 100 mph. A sandwich-floor design contains the battery pack, preventing it from intruding into passenger space and keeping it low for optimal weight distribution. That pack holds enough energy for 115 miles of driving per charge, according to Mercedes, although that rating is likely based on the European test cycle--and the EPA range rating may well be lower. Recharging to add 60 miles of range from a 240-volt Level 2 station takes just under 2 hours, but the time for a full recharge hasn't been quoted. 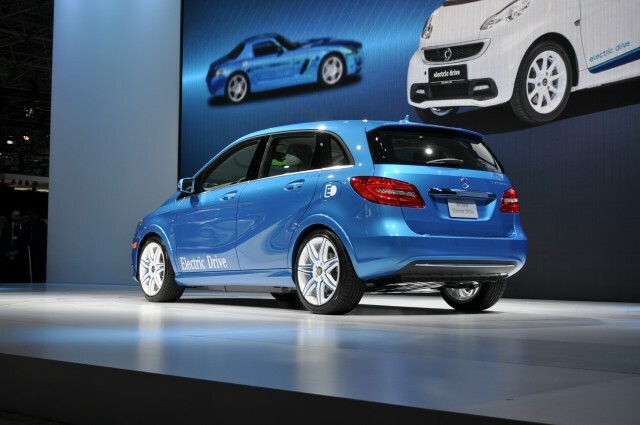 When it arrives in showrooms later this year, the 2014 Mercedes-Benz B-Class Electric Drive will be the second electric car from Daimler--after two generations of the Smart Fortwo Electric Drive--sold in the U.S. However, many U.S. buyers won't be able to buy one in their home states, at least initially. The B-Class Electric Drive will be launched in a handful of states--California, Connecticut, Maryland, New Jersey, New York, Oregon, Rhode Island, and Vermont--before a planned nationwide rollout in 2015, according to InsideEVs. 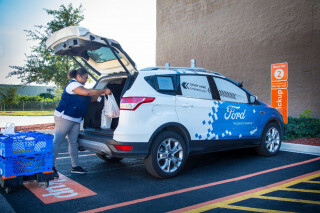 It will also likely be sold in small numbers, like the "compliance cars" that are sold only to keep automakers in line with California's zero-emission vehicle mandate.